June | 2017 | Schott, P.C. 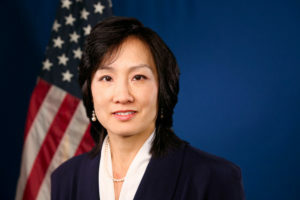 USPTO Director Michelle Lee abruptly resigned today. There was speculation after President Trump’s election that she would not stay on or perhaps take another post in the administration, but after months of questions, she affirmed her role as USPTO Director in March. Just two months later, she has resigned, opening speculation as to who will fill her post. As yet, there are no early contenders. UPDATE: Joseph Matal has been named Acting Director.